Robert Cowie and his co-editors have succeeded to publish a new issue of Tentacle, the IUCN/ SSC Newsletter that appears annually. There are several papers in this issue relevant to Neotropical malacology. Salvador & Simone report on a presumably new Leiostracus species from Minas Gerais, which may be extinct as the small patch of rainforest where it was found a few years ago has been cleared meanwhile. The variation in colour pattern observed in their material is, despite their remark of being “extremely variable”, not uncommon in arboreal species like Leiostracus, Drymaeus and other genera in the superfamily. Agudo-Padrón & Luz report on a nursery project for Megalobulimus paranaguensis (Pilsbry & Ihering, 1900) in the city of Joinville (Santa Catarina). The first author, in a separate note, also on a salvage effort for a small population of Drymaeus (Mesembrinus) interpunctus (Martens, 1887). In a third note, he draws attention to the precarious official conservation status for mollusks in the States of Santa Catarina and Rio Grande do Sul, Brazil. Suarez & Martínez report on the finding of a new population of Cerion tridentatum rocai Clench & Aguayo, 1953, on the Itabo River bank, in Boca Ciega, Havana, Cuba, approximately 4 km west of the type locality. Fernández et al. 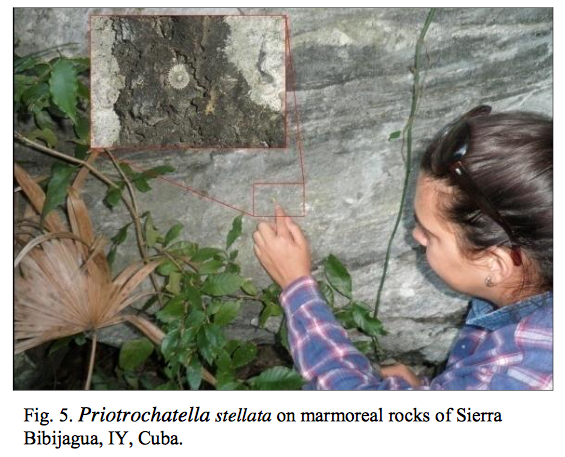 provide data on rock dwelling species at risk due to recreational developments in Holguín, Cuba. Given the recent political changes this risk may turn out to devastate other snail populations along the Cuban coast in the time to come. Simone draws attention to the recently described Adelopoma species from a park in Sao Paulo (see also here). In three separate notes, Herrera reports on snails from the Island of Youth, Cuba (= Isla de la Juventus, formerly Isla de Pinas). One with a new locality record for a colour variation of Liguus fasciatus, one with a new locality for Priotrochatella stellata, and the last one on conservation issues in the Sierra de las Casas. Santos and a suite of co-authors finally devote two pages on their efforts to update the list of endangered non-marine molluscs in Brazil. The new list features eight land snail species. AGUDO-PADRÓN, A.I., 2015a. 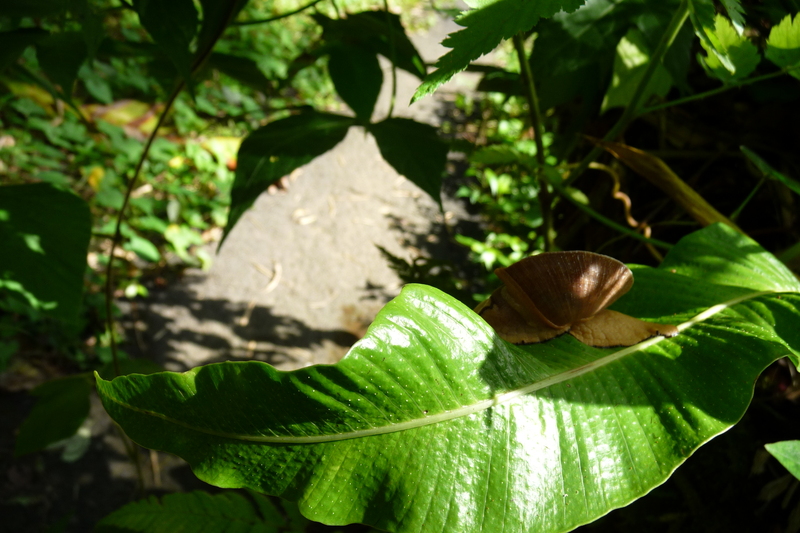 Small actions making big differences: rescue of small native arboreal snails in an urban area of Florianópolis, Santa Catarina State, Central Southern Brasil. – Tentacle 23: 11-12. AGUDO-PADRÓN, A.I., 2015b. The precarious official conservation status of molluscs in the States of Santa Catarina and Rio Grande do Sul, Southern Brasil. – Tentacle 23: 19-20. AGUDO-PADRÓN, A.I. & LUZ, J.S. da., 2015. 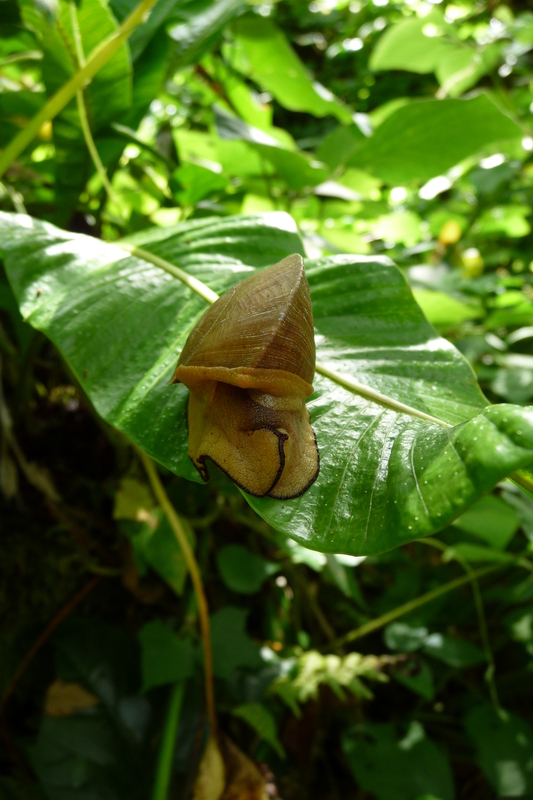 Active conservation of threatened indigenous land gastropods in the urban area of Joinville, Santa Catarina State, Central Southern Brasil. – Tentacle 23: 9-10. FERNANDEZ, A., SUAREZ, A. & FRANKE, S., 2015. New records of rock dwelling mooluscs at risk from tourist developments on the coastal zone of Pesquepo Nuevo, Holguin, Cuba – Tentacle 23: 13-15. HERRERA, J., 2015a. New localities for Liguus fasciatus (Müller, 1774) from the Island of Youth, Cuba. – Tentacle 23: 15-16. HERRERA, J., 2015b. New locality for Priotrochatella stellata (Gastropoda: Helicinidae) from the Island of Youth, Cuba. – Tentacle 23: 20-21. HERRERA, J., 2015c. 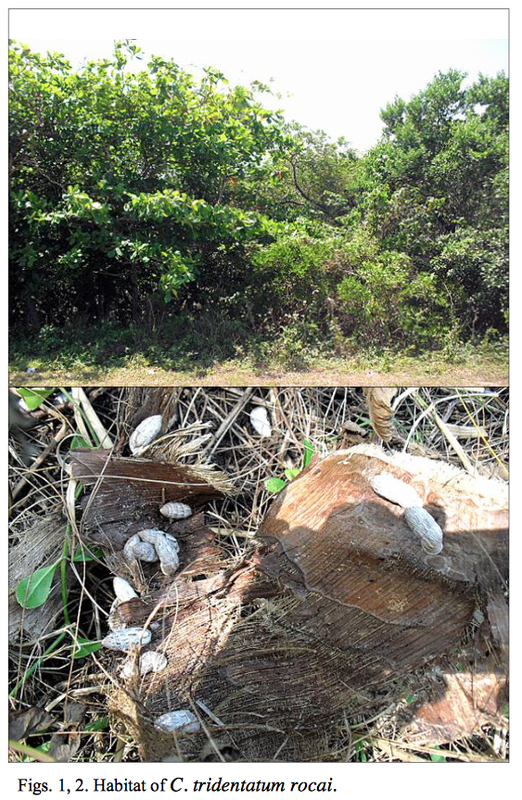 Land snails of Suerra de las Casas protected area (Island of Youth, Cuba) and their conservation problems. – Tentacle 23: 23-24. SALVADOR, R.B. & SIMONE, L.R.L., 2015. 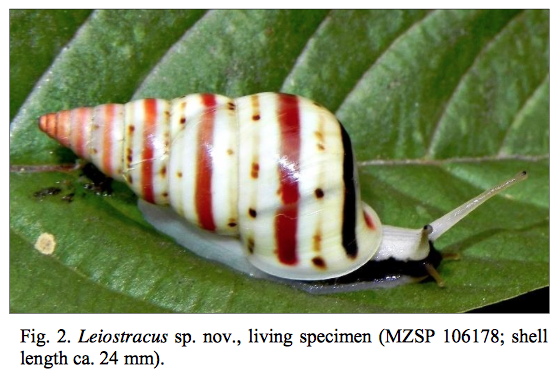 The discovery and possible extinction of a Leiostracus land snail in Southeastern Brasil. – Tentacle 23: 7-9. SANTOS, S.B. dos et al., 2015. Observations on the review of the list of endangered non-marine molluscs of Brasil. – Tentacle 23: 26-28. SIMONE, L.R.L., 2015. A new species discovered in an urban park within the third largest city in the world. – Tentacle 23: 18-19. SUAREZ, A. & MARTINEZ, J., 2015. New data on Cerion tridentatum rocai, locally endemic to Boca Ciega, La Habana, Cuba. – Tentacle 23: 10-11. This entry was posted in Uncategorized and tagged brazil, bulimulidae, cerionidae, conservation, cuba, drymaeus, literature, megalobulimus on February 18, 2015 by bramb. No rocket science today, nor the unveiling of a hypothesis-driven discovery. Boring to most, but interesting to the ‘affectionados’ of biohistory are the handwritings of scientists from the era that collection labels were not printed but written. Several of these historical collections have been lost, but sometimes new discoveries or noteworthy publications appear that may be helpful in future research. Recently, Cédric Audibert devoted a number of the journal Folia conchyliologica to the collection of Georges Courtagne (1854–1928), which also contained his archive of correspondents. A list of letters is given, covering 76 malacologists and the period 1878–1922. Among them well-known names like Ancey, Bourgignat, Caziot, Clessin, Locard, Monterosato, and Pallary. In the context of this blog, one person deserves attention, viz. Henri Drouët (1829–1900), who has published a paper on French Guyana in which he also described a new species. Decades ago, during the revision of Caribbean Bulimulus species, I travelled in vain to Dijon to search for the type material of this species. Also others have unsuccessfully looked there for parts of his collection. As his handwriting had not been authorized until 2008, it was difficult to be sure if material found did indeed belong to the Drouët collection. Audibert has shown that the this collected is dispersed, and parts of it may be found in three places. The marine species are now in the collection of the Université de Bourgogne, Dijon (Audibert, 2010). The freshwater species are in the Muséum d’Histoire natural de Troyes (Audibert, 2011). The terrestrial species are in the Muséum d’Histoire natural, Dijon (Audibert et al. 2013). Time perhaps to make a new trip to France to look for the type of Bulimus eyriesii Drouët, 1859? Audibert, C. (2010). Les collections conchyliologiques de l’Université de Bourgogne. – Folia conchyliologica 3: 5–14. Audibert, C. (2011). Redécouverte de la collection de mollusques continentaux d’Henri Drouët (1829–1900). – Folia conchyliologica 14: 5–9. Audibert, C. (2015). Georges Coutagne et ses correspondants malacologistes. – Folia conchyliologica 29: 3–23. Audibert, C., Prost, M & Frias Martin, A.M. de (2013). Les types des mollusques des Açores décrits par Morelet et Drouët, naturalistes-voyageurs. – Folia conchyliologica 20: 5–20. This entry was posted in Uncategorized on February 9, 2015 by bramb. These are some additional photos by Rolf Nijsse, kindly transmitted by Herman Cremers, taken during a recent trip to Puerto Rico, Luquillo Experimental Forest. They show Polydontes acutangula (Burrow, 1815), which is very similar to the species shown here but may be distinguished by its dark rim of the foot. N.B. : A recent preliminary report on the terrestrial snails of the island by Robinson & Field mentions this species as Parthena acutangula. The classification of this group of snails (currently in Pleurodontidae) is to a large extent based on anatomical differences (see Wurtz, 1955). The Luquillo Experimental Forest is a field station for ecological work, and snails have been the subject already for decades. A review may be found here. This entry was posted in Uncategorized and tagged ecology, pleurodontidae, westindies on February 5, 2015 by bramb. The genus Adelopoma is a group of small, sinistral snails known from various countries in South America. Due to their small size they may have been frequently overlooked by collectors. At the moment eight species are known from the Neotropics occurring in Mexico, Guatemala, Costa Rica, Venezuela, Trinidad, Brazil, Paraguay, Peru and Argentina. A new species was recently discovered in the city of Sao Paulo, and described by Martin & Simone (2014): Adelopoma paulistanum. Since the anatomy of this group is poorly known, the detailed anatomical study of this species is also very interesting. Martins, C.M. & Simone, L.R.L. (2014). 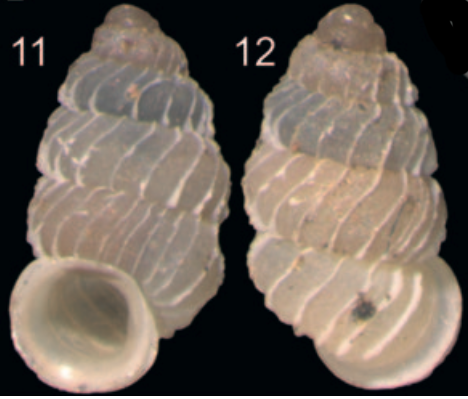 A new species of Adelopoma from São Paulo urban park, Brazil (Caenogastropoda, Diplommatinidae). – Journal of Conchology 41: 765–773. This entry was posted in Uncategorized and tagged brazil, diplommatinidae, literature, taxonomy, types on February 4, 2015 by bramb. On Curaçao, Drymaeus virgulatus (Férussac, 1821) is occurring in a selected number of areas. One of these is the Christoffelpark. 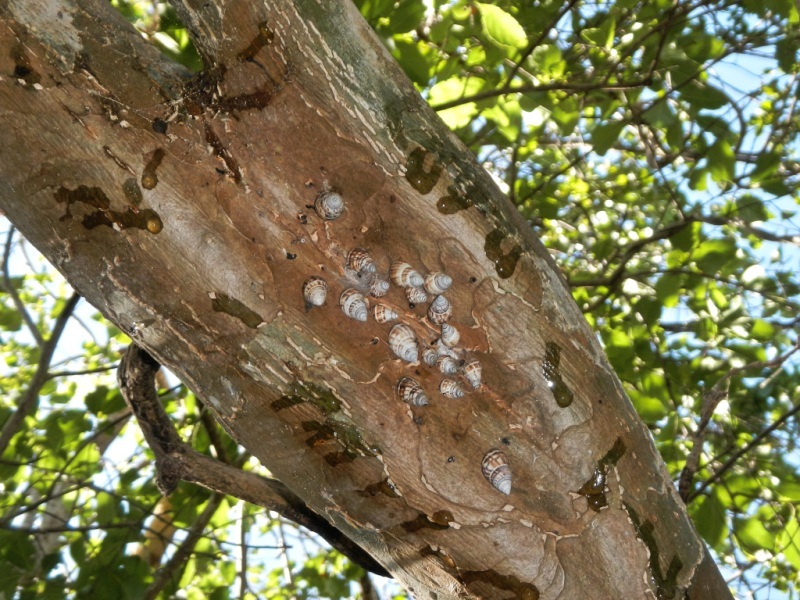 These snails are usually found as clusters on the stem of trees, in this case along a ‘rooi’ in the Zorgvlied section of this nature protection park. Thanks to François van der Hoeven and his members of the Workgroup Archeologie, for their interesting weekly trips over the island, and the well-illustrated reports on them. This entry was posted in Uncategorized and tagged bulimulidae, drymaeus, ecology, westindies on February 3, 2015 by bramb.